Mr. Malkames was born in Hazelton, PA. on May 6th, 1926 to veteran cameraman, Don Malkames and his then wife, Dorothy Klotz. His childhood was surrounded by and immersed in the trappings of the early motion picture industry. At the age of 16, he enlisted in the Navy and thus followed a stint at Pearl Harbor and service as an electronics technician aboard the submarine, U.S.S. Chopper. On June 6, 1948 he married his high school sweetheart, June Dougherty of Hazelton, PA. Upon his release from the Navy, he followed in his father's footsteps and embarked on a career in motion pictures, serving as an assistant cameraman - often to his father - working his way up to becoming a cinematographer and a member of the American Society of Cinematographers. Probably his most rewarding period behind the camera was as a staff cameraman for Warner-Pathe News - a position he held till the newsreel folded in 1956, a casualty of the advent of television. His assignments behind the camera were numerous and varied - providing second unit photography to such productions as the 1958 Robert Mitchum drive-in classic "Thunder Road" (executing all the memorable car chase sequences) as well as work on specialty assignments such as 'old age' make-up tests of Dustin Hoffman for his fabled role in 1970's "Little Big Man". However it was his work in the then new field of film restoration and preservation in which Mr. Malkames truly found his niche. His affinity for films from the early days of the industry, coupled with a unique facility for designing, adapting, building and operating cinemachinery, resulted in his single-handedly saving literally hundreds of films - usually too fragile or deteriorated to be handled by then conventional methods. Much of the extensive output of The Biograph Company (and thus the early work of D.W. Griffith) as well as numerous other subjects, was preserved by Mr. Malkames for The Museum of Modern Art. 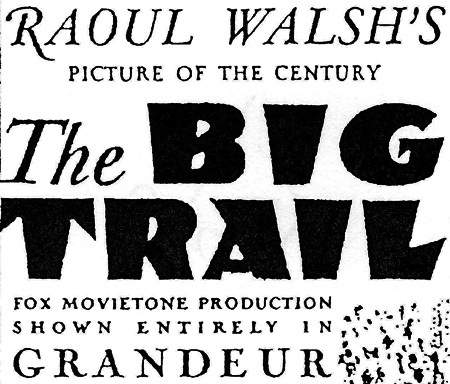 Along with Biograph - his most singular achievement for MoMA was his preservation of the 1930 "Fox Grandeur" epic, "The Big Trail" (starring a fledgling John Wayne) from the original 70mm camera negative, which was found to be too shrunken to be copied. Mr. Malkames spent an entire year on the project - from designing and building a special printer, through to the painstaking reproduction of the film. Also of note was his long association with film historian-showman, Paul Killiam - for whom he restored dozens of silent era classics for the Emmy-award winning television series, "The Silent Years" - in which he also photographed the intros with Lillian Gish. Key works by the likes of D.W. Griffith, Douglas Fairbanks, Sr., Mary Pickford, John Barrymore, Buster Keaton, Clara Bow and Tom Mix were saved for posterity thanks to his work with Killiam. In 1979, Mr. Malkames wrote and produced a documentary, "THE MOTION PICTURE CAMERA" - a loving tribute to silent era cinemachinery, which showcases examples from his own family's comprehensive collection. He had three children: His daughter, Marty Lawton, predeceased him in 2005 and he is survived by a son, Rick Malkames - also a cinematographer, a daughter, Christine Malkames - a graphic artist, eleven grandchildren, including Bruce Lawton who is a film historian, and four great-grandchildren.